I think you did a good job of capturing the spirit! Oh, wow. I love this set. I think it is one of my new favorites. 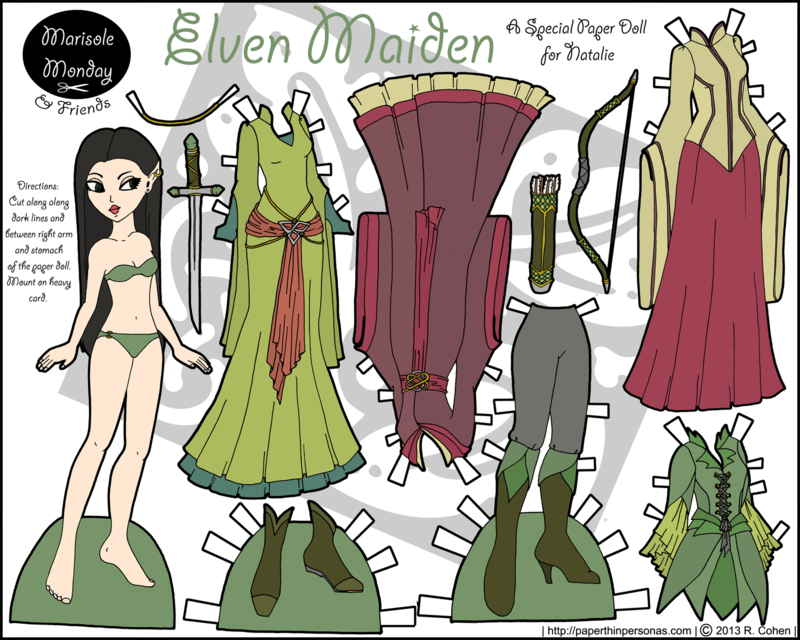 i don’t really know any thing about lord of the rings but i really love this paper doll i think her dresses are very elegant and thye have really cool colors. It was also a really nice suprise to see the colored verson today also! This is gorgeous! I love it! Thank you sooo much! You’re welcome, Natalie. I’m glad you like her. And I never said being stuck in Italy was a bad thing, Mom. I am looking d for beanthif the waves?